Kat Stays Polished | Beauty Blog with a Dash of Life: Downy Wrinkle Releaser Plus - Travel Time! Who loves to travel? Who has kids and travels often? I don't travel too often but when I do, I find myself packing half of our things with stuff for my daughter. When that happens, I really have to be careful of the things I pack for myself. Did you also know that now at least a third of my suitcase is taken up by clothes for her? How does one keep everything in order? Well, we can start with Downey Wrinkle Releaser Plus! 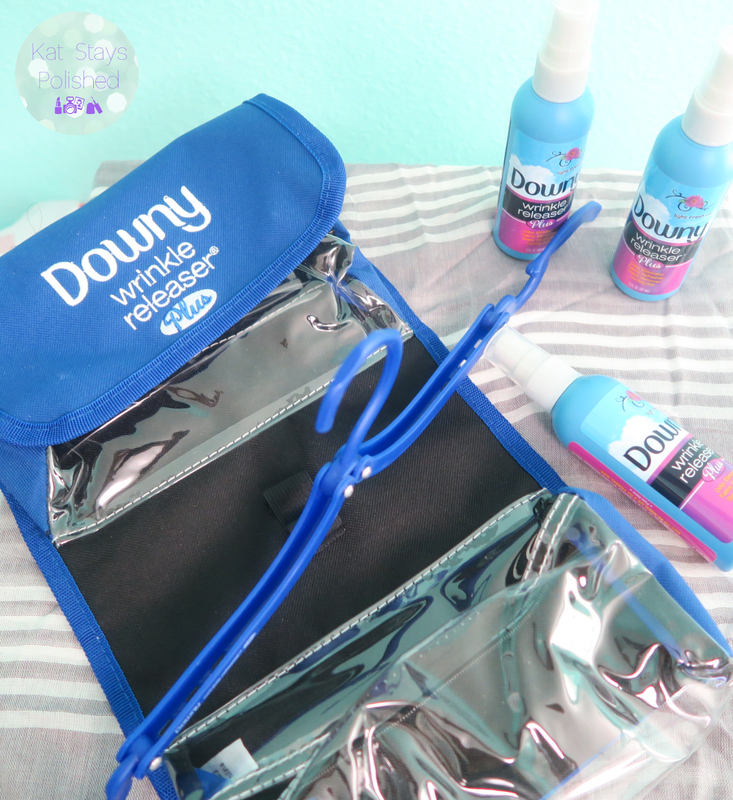 This little travel kit from Downy Wrinkle Release Plus will at least help the clothes that couldn't help themselves. 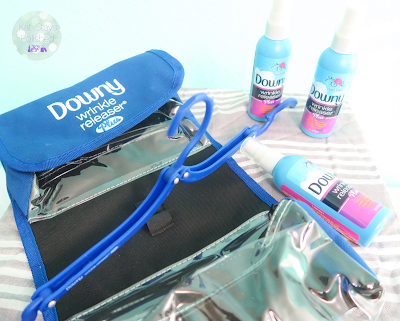 It comes with 3 travel sized bottles, a cute little fold-up organizer, and a collapsible hanger. These bottles are already airline approved so throw it in your quart sized bag! Having this around will help keep your clothes wrinkle-free, odor-free, static-free...basically everything you hate about the way your clothes look and smell. Need some travel tips and tricks? Downy has you covered...HERE! 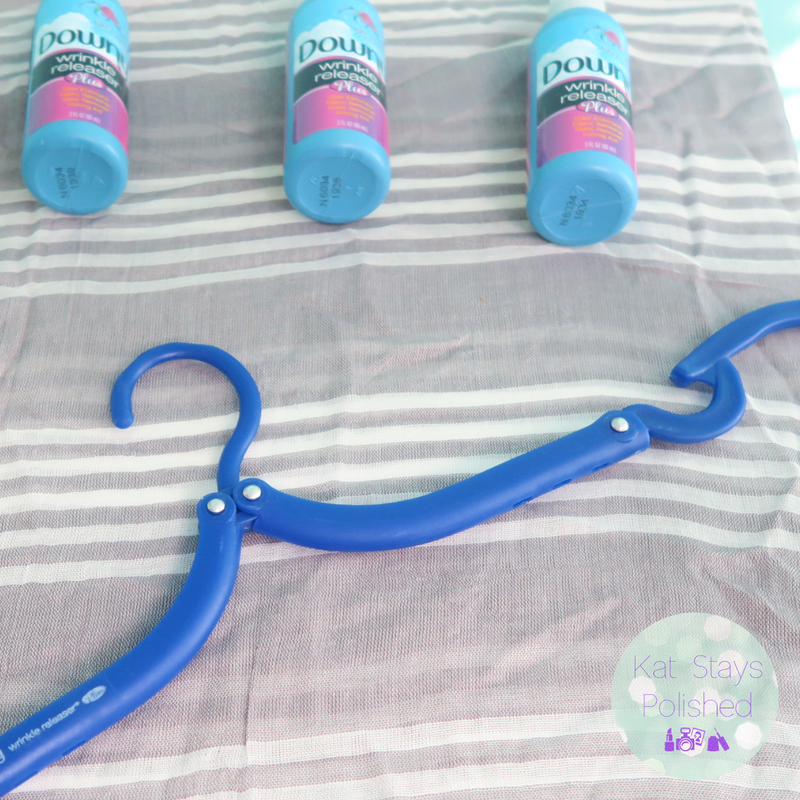 Have you ever been traveling and needed a hanger but just didn't have one? I am going to use this travel hanger so much! It's coming with me everywhere...you could even keep it in your purse if you wanted! It also comes in handy when you need to use Downy Wrinkle Release Plus - just hang your item (it doesn't even need to be a piece of clothing - sheets and tablecloths have needs too! ), spray, tug, and let hang for a few. So, not only do I need to pack this little bottle of magic with me, I also need to keep myself, static-free, odor-free, and wrinkle-free. Here are just a few items I like to bring, with variation depending on the season. What are your little travel tips and tricks? Anything that would help with kids? If you would like Downy Wrinkle Release Plus to be a part of your travel kit, go grab a special offer on their website! Let em know how it works for you! Very clever new product idea from Downey! Great idea for frequent travelers. I've learned to pack better but some things are just going to wrinkle no matter what. OH, what a cute travel kit! I love the folding hanger. 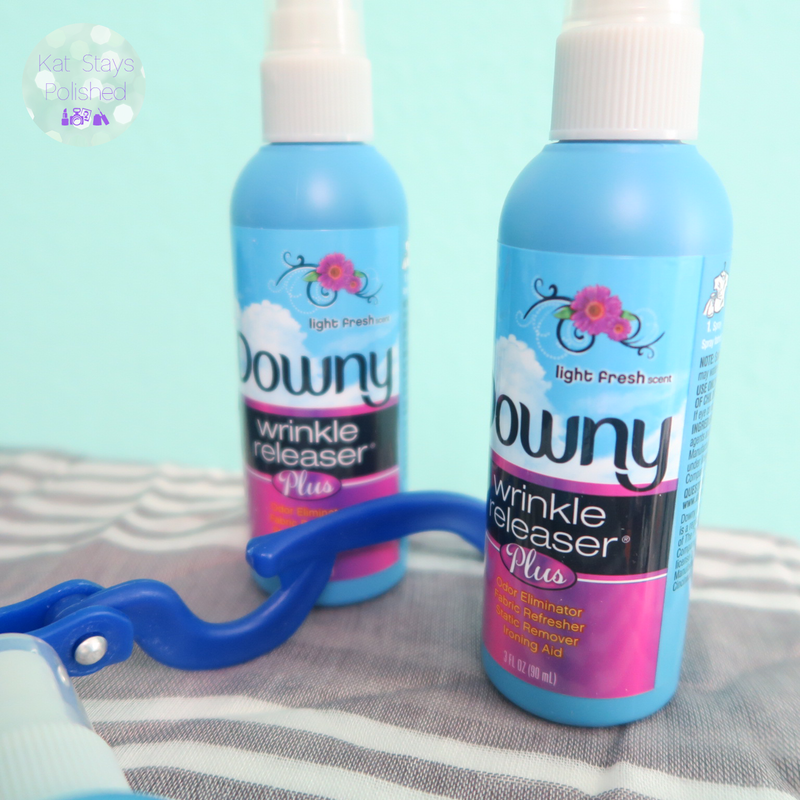 I hate to iron, so I often will use Downy's Wrinkle Releaser in a pinch. I actually pack this when we travel. I HATE to iron! lol this is perfect for a lazy person like myself. I love the wrinkle releaser. I always travel with a small bottle of it! I love that it's travel sized! There have been so many ties I didn't pack something because I was worried about wrinkles. I love to travel and am in desperate need of a vacation! This is so cute and practical. 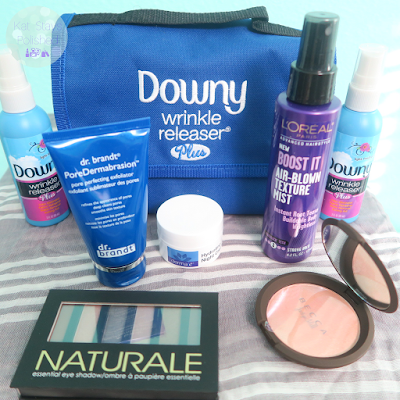 I love Downy Wrinkle Release. What a cute little hanger! My mom swears by this stuff!